Easter comes a little bit earlier this year (April 5th) than it did last year (April 20th). And while we usually have some time to breathe after eating all of our St. Patrick’s Day corned beef and cabbage, this year we have got to start planning our Easter menus right away! If you’re feeling overwhelmed about what to make for this year’s Easter dinner, then I’m here to help! I’ve gone ahead and browsed through all the tasty, quick, and easy recipes from the Mr. Food Test Kitchen to put together a traditional Easter menu that I think you’re going to love! Okay, I know Hummus Deviled Eggs aren’t exactly “traditional,” but the flavors are all there! 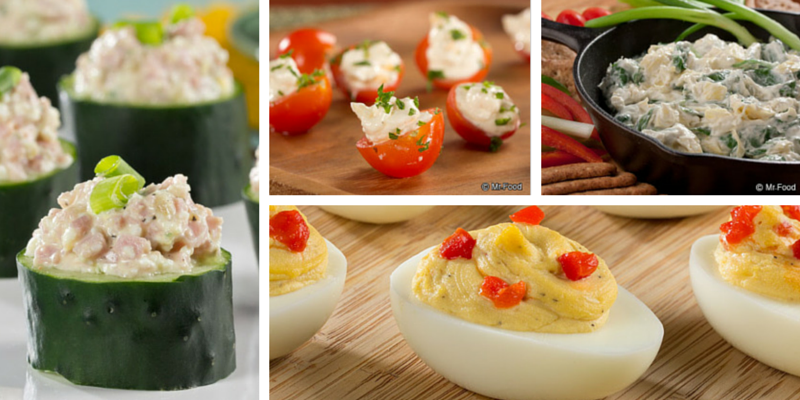 If you’re looking for a classic recipe for deviled eggs try our Perfect Deviled Eggs. While ham is definitely a traditional Easter main dish, and the one that most of us think of when we think of Easter food, it’s not the only option you have! Lamb and chicken are also commonly eaten during Easter. To stay traditional, try recipes that use fruity or citrusy flavors. Fresh herbs are good too! 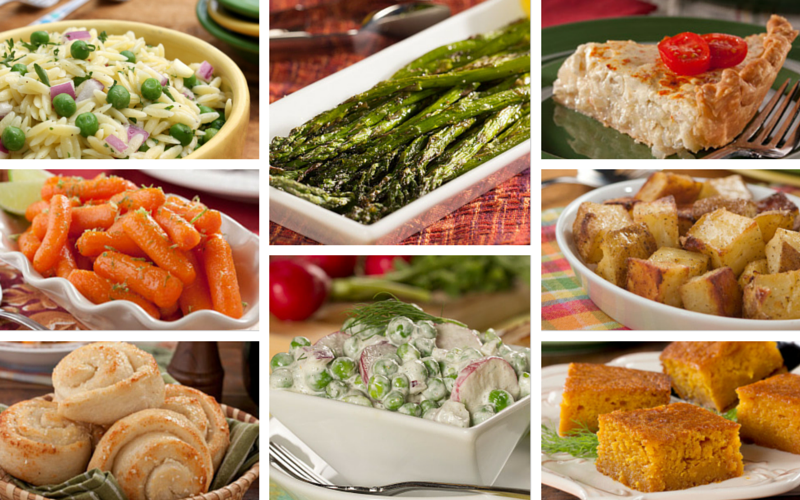 In my opinion, a great holiday spread always includes a couple of options when it comes to side dishes. I’m a pretty voracious eater, so I like to have a little bit of everything. Give me the potatoes, the veggies, the salads, you name it! Again, garden-fresh is the way to go for a traditional spread, and you must include carrots! After all, carrots are the Easter bunny’s favorite. It’s time for my favorite course…dessert! Easter desserts are typically fruity, light, and refreshing. 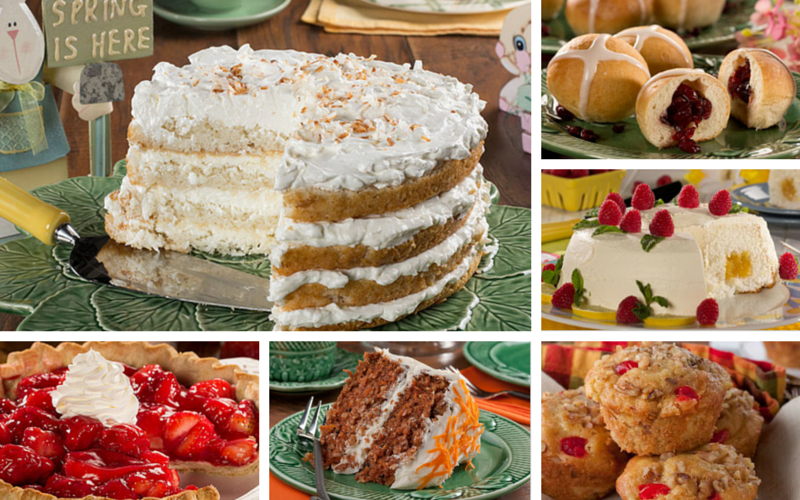 They can include everything from angel food to coconut cake, fresh strawberries, and a medley of fruit pies. Of course, hot cross buns and carrot cake are also traditional Easter must-haves. Well, that about covers it! I hope that I’ve been able to help take some of the stress out of your Easter menu planning with these easy recipes. In case you’re looking for even more, you can always check out our complete collection of Easter recipes on MrFood.com. 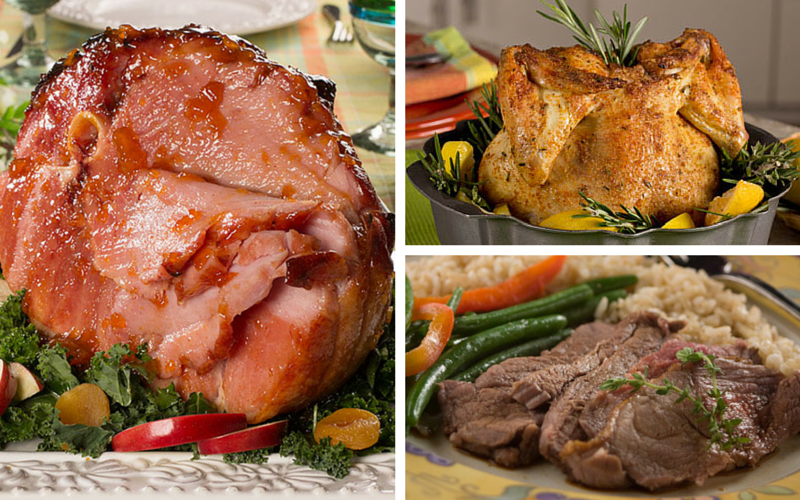 Aside from the ham, what dish does your family ALWAYS include on the Easter dinner table?